A sleep study is a test that records information while a patient is sleeping to assist diagnosing sleep disorders including apnea, narcolepsy, insomnia and other sleep disorders. Dr. Ailani specializes in Pulmonary, Critical Care and Sleep Medicine. Dr. Ailani has been in practice for over eight years and has completed his residency in Internal Medicine and fellowship in Pulmonary and Critical Care. Dr. Ailani's practice is committed to serving patients in Volusia County with offices in New Smyrna Beach, Port Orange, Ormond Beach and Deland. Dr. Ailani and his associates believe that all patients have a right to get quality and affordable care close to their home. In addition, the practices' dedicated office staff shares this philosophy and work each day to carry it out. 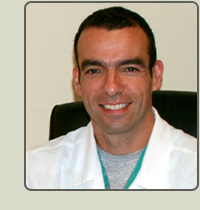 Dr, Ailani practices medicine in New Smyrna Beach, Port Orange, Daytona Beach and Deland. 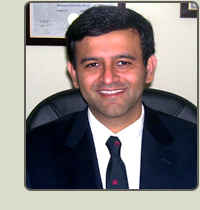 Dr. Ailani has two children and in his spare time enjoys spending time with his family and reading.